For the last two nights I’ve had an opportunity to celebrate a couple of very well deserving friends: Mike Calvert and Nancy Penney. Tuesday night I attended a reception honoring Mike and last night at church I attended a reception honoring Nancy. 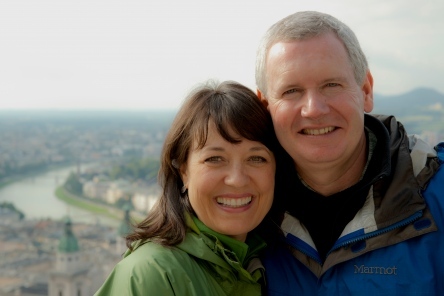 Mike was recently selected as ACU’s Alumnus of the Year and Nancy recently transitioned from our Children’s Ministry after five outstanding years in that role. Both of these friends are very well deserving of every compliment and accolade that comes their way because both are such stellar and high road people. Spend just a little time around Mike Calvert, spend just a little time around Nancy Penney, and you will become a better person yourself. Odds are you are surrounded today by some family/friends/colleagues who deserve to be recognized and celebrated by you in some simple way, not just for record breaking success, but for their efforts, their time, their willingness to try, their faithfulness, their dependability and by the way Christ gets honored in all they do. I encourage you to pay attention to the abundance of good people around you and intentionally affirm who they are and what they bring to the table. People felt important around Jesus. I hope people feel important around you and me. First of all…, welcome to our blogging world ;)) I have been reading every post! I agree Ms Penney is totally awesome love that lady so much!!! Thx Helen! It’s about time I embraced a little technology. I’ll be checking out your blog too.